I really love my family in Philippines. Even though I am a thousands miles away from them. 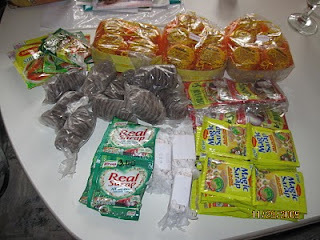 They still didn't failed to send me some amazing and yummy things that I love to have and eat. Got a package and under was what contains inside that box. 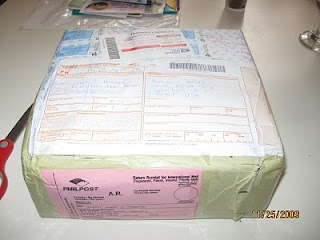 I always excited when they said that they sent me something. Everyday in the mail, I am excited to see the mailman whether or not he got my package or not. Haven't you tried that feeling? I enjoyed and ate the pastries and some of the seasonings were still here and almost gone. Can't wait for another batch. It's always nice to hear from home and when they make you know that you are not forgotten even if you are far away. I'm sure they have sent you stuff that can only be found there and make you miss it more. Goods from home are aleays the best!